When a man decides he wants to propose to the love of his life the last thing he expects is a jilted lover from the past coming around to mess things up. Seriously, third grade love? Some people really never realize when it's time to let go. 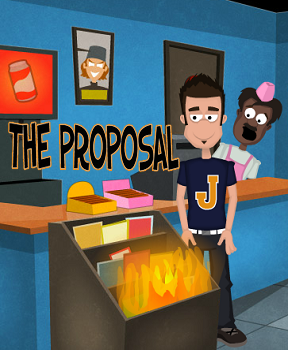 Such is the case in the recent Carmel Games point-and-click adventure game The Proposal, where poor Josh finds that the girl he's planning to propose to has suddenly vanished. Upon realizing that your lady love has pulled a Houdini, you travel through the town stopping at different (sometimes silly) locations in order to find goods that will unravel where your beloved significant other has vanished off to. You'll click on your map in the top right corner to go back to the town layout and from there click through the mystery of the disappearing girlfriend. This quirky game is a great addition to the robust genre of the offbeat catalog but its quality is improved compared to competitors. The graphics are more crisp (in a cartoonish way), and the protagonist has more objects to interact with than merely the ones he has to use to progress in his mission. The placement of the inventory boxes can seem somewhat cumbersome but doesn't detract from the full tilt silliness of the game itself, nor outright hinder gameplay. Essentially, this is a short but pleasing game with the age old tale of thwarted vengeance and destined love! Or at least one about a creepy stalker and valiant boyfriend. The Proposal Walkthrough now available! You start off in the apartment building of the girlfriend. Go inside the door with the name Becky on it. Click on the perfume bottle on the ground to the left to add it to your inventory. 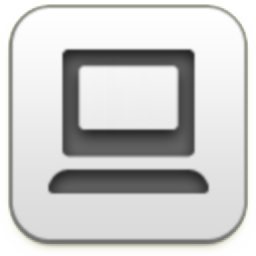 Click on the broken picture frame to look at it. Leave the room, then click on the door to the right to leave the building. Click on the building entitled "My Place." Pick up the hotel reservation paper underneath the couch. Go through the door on the left to enter the bathroom. Press on the cabinet doors under the sink to open them. Pick up the basket. Leave the apartment building and go to the map. Go to the Orchid Hoten and Casino. Give the hotel reservation paper to the woman at the front desk to receive a key card. Go into the elevator, click on the buttons, then got to floor 10. Use the key card on room 3. Click on the matches on the right hand nightstand. Leave the room and go back into the elevator. Press on the buttons and go down to the basement (B1). Once out pick up the plunger at the right end of the hallway. Get back into the elevator once more, press on the buttons, and go to the casino. Click on the biggest slot machine. Set your bet by clicking on the up arrow provided. Bet all your money ($50), then spin. Losing all your money will have you taken to the room in the basement with no handle. Click on the door twice to escape the room. Pick up the dollar outside the room. Go back upstairs to the casino and bet the single dollar. Keep betting all your money until you have at least $90 then leave the hotel. Go to the 99 cent store/Smart Mart. Pour the perfume on the magazine rack, then light it on fire with the matches. As the store worker is putting out the flames click on the back door to go into the employee room. Use the crowbar on Rocco's locker to open it and retrieve the notepad. Pick up the shovel in the corner of the two sets of lockers. Leave the room, then go to the map. Head to the China Panda restaurant. Talk to the man to have him leave the room. Place the basket on the counter. Use the plunger on the fish tank. Leave the food place and go to the Fortune Teller. Give her the octopus ink you collected, then talk with her until she takes your money and gives you her premonition. After you receive the enchanted knife leave the shop. Go to the Graveyard. You will use the shovel on the middle tombstone with the name M.T. Tomb. Once you have dug up the ground go down the hole. Use the enchanted knife on the rope to the right. Thanks, Meaghan, for the walkthrough! Game is pretty simple, but you might need a couple hints for things that are really not that logical. You'll need to douse the magazine rack with the perfume, then light it on fire to create a diversion. The octopus one is fairly logical. When you plunger the tank, the octopus sprays ink over there. Hence, you need to put the bucket there to catch it. The guy in the 99c store just keeps using the fire extinguisher... FOREVER. And how Becky seems surprised to be getting proposed to, even though Rocco told her she was getting married to somebody else. And of course, a lesson to all would be villains, don't suspend a giant weight above your work station. No good will come of this. That you would use a plunger in a fish tank is what seemed illogical to me. Especially when there's a bathroom in the game. That was short, sweet, cute, and utterly ridiculous. Well worth a play! One or two of the puzzles are pretty non-intuitive, but definitely not that hard as a whole. Having won at the slot machine, and gotten enough money to pay the Fortune Teller, it never occurred to me that I would need to _lose_ again at the slot machine, in order to get into that room in the basement of the casino.